Preheat oven to 180ºC (355ºF). Layer the celeriac, potato, garlic, cream, salt and pepper in a 2.5 litre-capacity, 20cm x 30cm baking dish and bake for 1 hour or until golden. 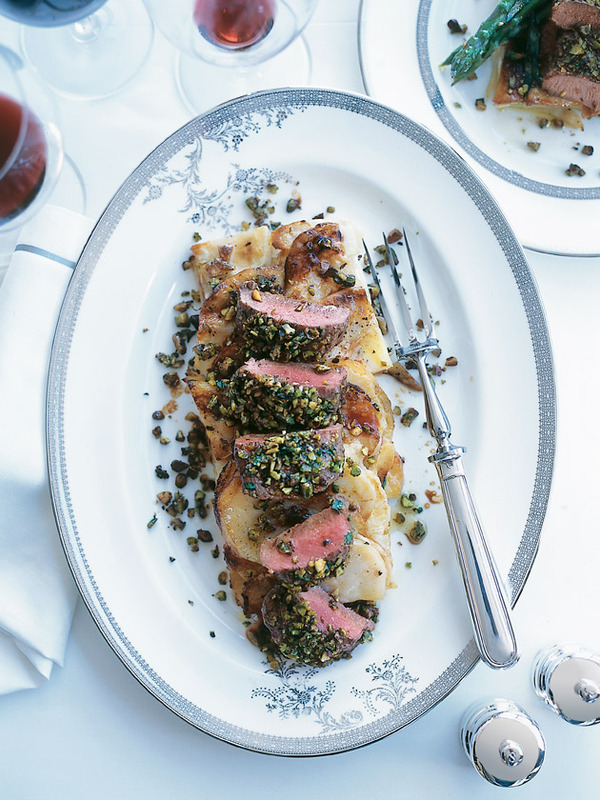 Slice into 12 pieces and serve with the pistachio and lemon crusted lamb. Serves 12. * Place the sliced celeriac in a bowl of water with lemon to stop if from browning.